Land Pride's RC2512 Rotary Cutter is designed for smaller tractors while retaining the features and benefits of larger folding cutters. 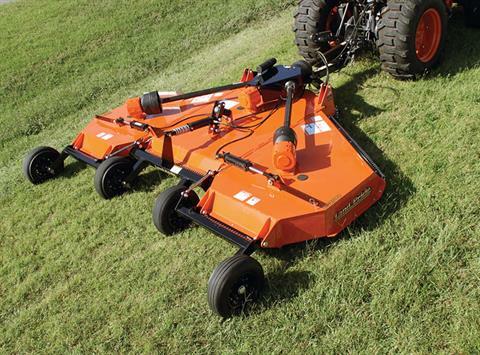 The 12 ft. width, sharp turning radius, and low tongue weight makes this an ideal Rotary Cutter for compact tractor owners that need a large rotary cutter for farm grass maintenance. The RC2512 offers a pull-type, self-leveling tongue with a clevis hitch for attachment to 40-100 HP tractors. It features a constant velocity Cat. 4 main driveline and Cat. 3 connecting drivelines with slip-clutch protection. 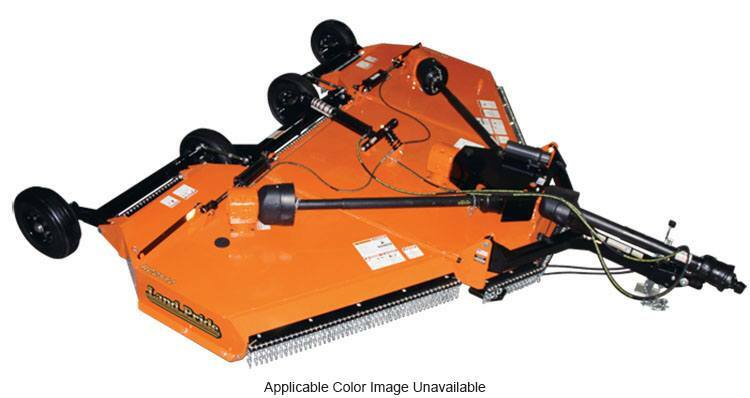 The standard stump jumper under each blade spindle slides over stumps, rocks and debris. Front and rear single chain safety guards provide protection against thrown objects.